Russian cellist Anastasia Kobekina (Yekaterinenburg, 1994) is one of the greatest cello talents of today. 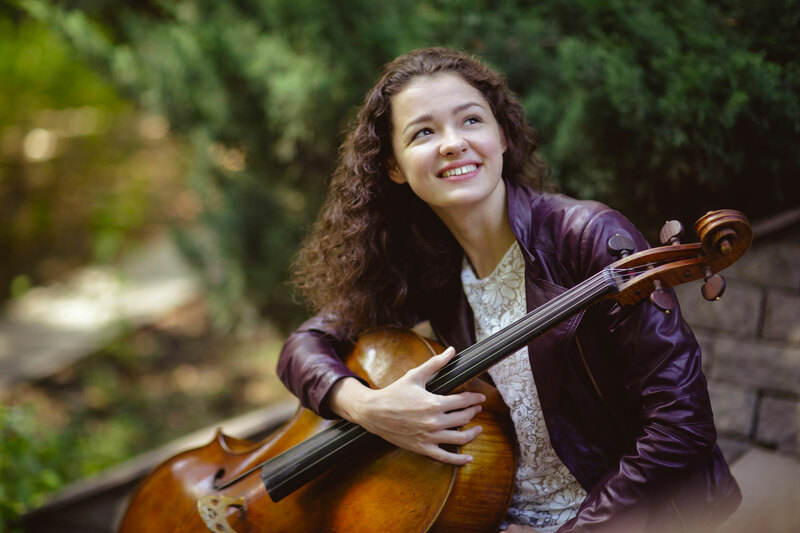 She is the winner and finalist of several international competitions: in July 2018 she won the 2nd prize at the 2018 Schoenfeld International Cello Competition – in Harbin, China. In the Sommets Musicaux de Gstaad 2018, participation by invitation only, she was awarded the Prix Thierry Scherz for the best performance in the ‘Young Talent’ series, offering the winners the opportunity to record their first CD. In July 2018 the BBC announced that Anastasia is chosen as one of the 6 additions to the ‘BBC New Generation Artists’ roster. A scheme in which each year a small number of young international concert artists are invited to join – offering performance, appearances and recording opportunities with the BBC orchestras, television, radio and festivals. Anastasia was in the semi-finals of the Queen Elisabeth Competition (2017) in Brussels, won the 2nd prize and conductor’s prize at the Enescu Competition (2016) in Bucharest; she was semi-finalist at the Tchaikovski competition in Moscow (2015) and was first-prize-winner of the Tonali Grand Prix (2015) Hamburg. In November 2016, Anastasia received the prestigious WEMAG soloist prize 2016 from the Festival of Mecklenburg Vorpommern. Anastasia received her first cello lessons when she was 4 years old. After completing her Master’s degree as Young Soloist at the Kronberg Academy in Germany with Frans Helmerson, she finished in June 2018 her Masters in Berlin at the Universität der Künste in Berlin, with J.P. Mainz. She now is continuing her studies at the Conservatoire de Paris, with Jérôme Pernoo. Widely praised for her great technical qualities and communicative gifts, she performed several times as a soloist with Valerie Gergiev and his Mariinsky Orchestra, both in Moscow and in St. Petersburg. Also Vladimir Spivakov invites her frequently, performing with the Moscow Virtuosi in Russia, but also in many European countries, including the Annecy Festival. Other orchestras Anastasia can be heard in concert with, are a.o. Sinfonia Varsovia (under Krzysztov Penderecki), Kremerata Baltica, the Brandenburger Symphoniker and the Vienna Symphony and Chamber Orchestras, performing in concert halls in Moscow, Berlin, Bremen, Amsterdam, Paris, Brussels, Vienna, Zürich, Tel Aviv and New York. Besides her performances as a soloist, Anastasia is also a great lover of chamber music, with partners such as Lars Vogt, Guy Braunstein, Antje Weithaas, Isabelle Faust, Fazil Say, and – in the framework of ‘Chamber Music Connects the World’ – with Yuri Bashmet, Gidon Kremer and Andras Schiff. She was elected twice to join masterclasses at the prestigious Verbier Festival Academy and has been playing on many international festivals including “Moscow meets friends”, 35th Music festival in Alzenau (D), Kronberg and in Chamber Music Connects the World. Anastasia‘s regular festival appearances are at venues like Annecy, Nohant, Colmar and those of Mecklenburg-Vorpommern, Schleswig Holstein, Tonali and Prussia Cove. Since her debut in 2014 as a soloist in the Cello Biennale in the Amsterdam Muziekgebouw aan ‘t IJ, Anastasia performs regularly in the Netherlands, often with pianist Hanna Shybayeva. In October 2018 she could be heard 3 times in the 2018-edition of the Cello Biennale, a.o. in a concert with Giovanni Sollima and the Netherlands Philharmonic Orchestra, in a composition by Sollima himself. 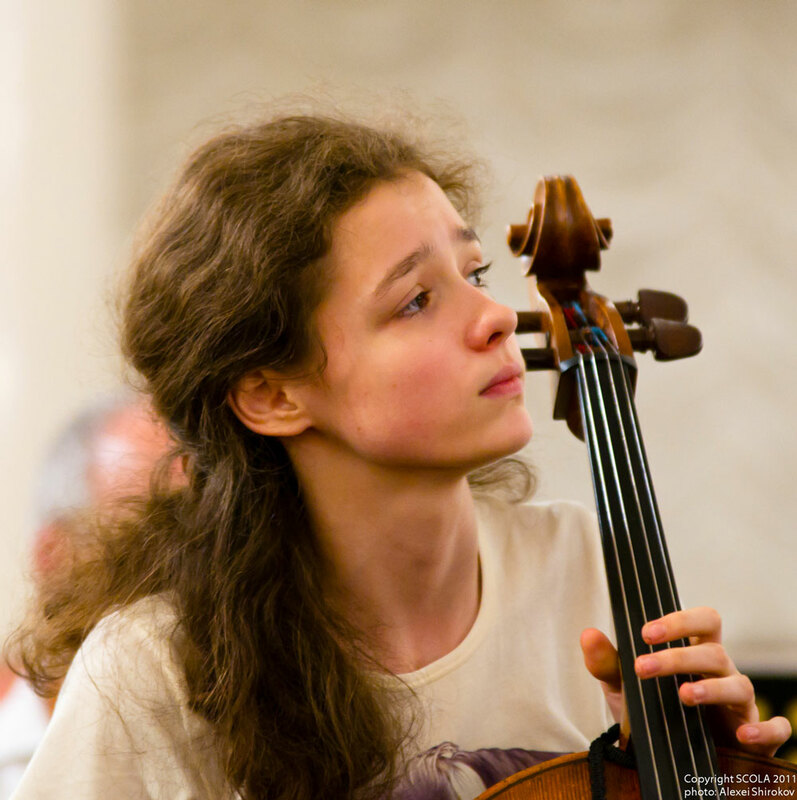 Anastasia is an exhibitioner of the International Charitable Foundation named after Vladimir Spivakov. She currently is allowed to play for 3 years on a Guadagnini-cello (18th Century), as a result of winning the Tonali Competition.